Are you thinking about installing ductless AC, or need to repair/replace your existing mini-split system? Say goodbye to window units once and for all! Contact Richmond’s Air. Homeowners in the Houston metro area are increasingly turning to ductless mini-split air conditioning systems because they are economical to install and convenient to use. Not to mention, they look a whole lot better than those noisy, unsightly window units that block your view! Whether you’ve made additions to your existing home and need an easy, affordable cooling system, or you’re moving into a living space where ductwork would be too expensive to install, ductless mini-split air conditioning provides a cost-effective, eco-friendly, and attractive solution. 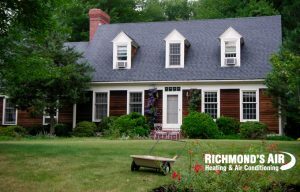 At Richmond’s Air, we offer a wide range of ductless mini-split AC services, from full-scale installations to emergency repairs and routine maintenance. Best of all, our work is 100% guaranteed by a 1-year parts and labor warranty for repairs and a 10-year parts and labor warranty on system replacements. Contact us to learn more about our professional mini split services. For emergency ductless AC repair, call (713) 714-4138. Fill out the form below for more information about mini-split installations. Ductless split air conditioning systems, also referred to as “mini-splits,” provide an energy-efficient alternative to central AC and other traditional heating and cooling methods. Mini-splits are ideal for spaces with no ductwork, or older buildings that currently use window air conditioners or have no air conditioning at all. Mini-split AC is unique in that, unlike central systems, they don’t require any ductwork. The main components are the outdoor compressor/condenser and an indoor air-handling unit. All that’s needed to connect the indoor and outdoor units is a small hole in the wall for the conduit to run through. Since ductwork isn’t required, ductless mini-split systems can be installed just about anywhere. Visit our HVAC Guide to learn more about how a ductless mini-split works. What are the benefits of ductless mini-split AC in my house or home office? Energy Efficient. Ductless AC technology is more energy efficient than traditional systems, saving you money in the long run on your monthly utility bill. Many mini-split units exceed 25 SEER, making them very eco-friendly. 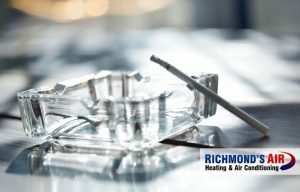 Also, by eliminating one of the most inefficient parts of a home – the ducts – mini-splits help reduce energy waste. Size. In apartments, condos, flats, and small living spaces, mini-split systems are preferable due to their compact size. Most units can be mounted on the wall, out of sight and out of mind, and they have no bulky equipment. Multi-Zone Control. Ductless systems allow you to precisely control the temperature of individual rooms or zones. This customization is an improvement from central heating and cooling systems which sets just one temperature for an entire space. Convenient. A wireless remote allows you to control your mini-split AC system effortlessly from anywhere in the room. Quiet. Ductless AC systems are much quieter than old fashioned window units. Most of the time, you won’t even notice them running. When is ductless air conditioning a good solution? Any location that lacks traditional ductwork, as well as spaces that can benefit from spot cooling and heating, are ideal for ductless air conditioning. Mini-split AC systems are commonly used in finished basements and attics, garages, home additions, sunrooms, grow rooms, greenhouses, server rooms, kitchens, showrooms, warehouses, offices, and many other applications. Individual rooms can also benefit from ductless air conditioning by offering personalized comfort settings, and constrained spaces with limited room are perfect because mini-split systems require minimal space and don’t require ductwork. How much do ductless systems cost in Houston, TX? The cost of ductless mini-split equipment can range anywhere from $600 – $5,000, depending on the size of the space you need to cool and the product you choose. Hiring a professional to install a mini-split system is an additional expense, but highly recommended since doing it wrong from the beginning will cost you much more down the road. Contact us to get a free estimate on how much it will be to get a ductless mini-split system professionally installed. Can ductless systems heat, too? Yes. 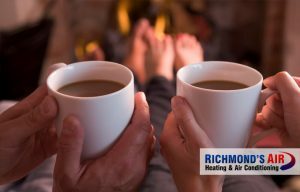 Many modern mini-split systems now feature heat pumps that can efficiently warm your home or office, keeping you nice and cozy during those occasional Houston cold snaps and chilly nights. This can help you save even more by reducing or eliminating the use of other heating systems. We proudly serve the greater Houston area, helping homeowners stay comfortable all-year around with preventative maintenance, emergency repairs, and system installation services. Our service area extends to Bellaire, Katy, Spring (including The Woodlands), Sugar Land, W. University Place, Bunker Hill Village, Hedwig Village, Hilshire Village, Jersey Village, Piney Point, Spring Valley Village, River Oaks, and many other nearby neighborhoods. Our headquarters are conveniently located near downtown Houston, just blocks from the intersection of the North and Katy Freeways (I-45 and I-10 respectively). Regardless of where you live, we can travel to your location quickly. Give us a call or fill out a contact form to schedule a repair. Our business hours are Monday through Saturday, 7am-9pm local time. However, whenever you need emergency service, we can deliver prompt, professional repairs.